There was $6.3 Billion in click fraud last year and the problem will get worse. Click Fraud is the fraudulent clicking of internet ads to generate income or to damage a competitors advertising. While click fraud comes from many different sources it is damaging the very nature of internet advertising. There is very little incentive for them to fix the Click Fraud. Last year (2017) over $6.3 Billion was stolen from advertisers. Click fraud is the the largest problem for internet advertising. With little incentive for ad publishers and networks to solve the problem, this will continue. Both ad publishers and networks receive revenue for the fraudulent clicks. While Google and other ad networks do have passive programs to help control the fraud, they receive far more income from the fraudulent clicks then they refund. Your Competitors: This can be as simple as competitors clicking on your ads to drain your advertising budget so you give up when they show no results. They also may be competing for the same keywords. They click on your ads so you show a low click through and use up your daily budget. This way they can have a higher rank the rest of the day since your ads are no longer showing. Publishers Competitors: Other publishers or networks may also try to frame a publisher to try to force advertisers to other publisher. This type of attack can destroy a publisher. Fraudulent Attack: unfortunately there are those who just want to hurt someone. The ones that will vandalize other property, just for the fun of it. Greed: Probably the biggest reason for click fraud. Causing clicks simply to make money off the advertiser. This usually is something set up with publishers or networks where they get a share of the advertising money each time an ad is clicked. 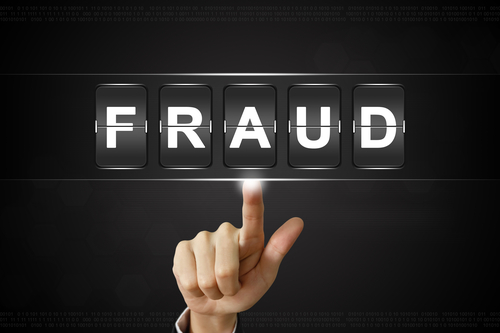 Click Fraud is up by 50% from last year. 1 in 5 Ad servers are visited only by bots, never having a human see them. $1 out of every $3 dollars in internet advertising goes to click fraud. 8.3% of all display ads clicks are fraudulent. High cost CPM (Cost Per Viewing) have 39% higher fraudulent clicks. 22% of financial traffic is fraud. Methbot Click Fraud nets between $3 to $5 Million every day. Advertisers are losing their trust in pay per click advertising. This will cause them to cut back on the most effective advertising tool of all time. Never before has advertising been capable of such targeted impressions so that someone looking for something will be able to find an ad perfectly suited to them. Companies that have been hit by click fraud may go out of business when the expense of advertising. It can also be used to Skew public opinion by changing what people see on various subjects. By warping the result toward one side or another. Human Clicking: This can be as simple as a competitor clicking on your ads to cost you your advertising dollars. A customer to lazy to go to your site directly using your ad to go there instead. This is both easy to detect in most cases, but at times the hardest to resolve. Scripts: this are a much larger scale of fraud. By running scripts which simulate a human clicking on ads in Web pages. But, large numbers of clicks appearing to come from just one, or a few computers, or a single geographic area, look highly suspicious to the networks and advertisers. Clicks coming from a computer controlled by a publisher also look suspicious to those watching for click fraud. This is the easiest type of fraud to detect and catch. Bot Attack: This is the most insidious of all click fraud and the biggest money maker. As advertisers get more proactive in preventing click fraud, the crooks are getting more sophisticated. With the slave bots being used to do simple click fraud being identified and then blocked. The bot owners are now running more elaborate scripts. They not only mimic actual human users but by running on active machines in the background they use the actual humans browsing to trigger the click. While those who engage in click fraud are usually guilty of wire fraud, very few are ever convicted or sentenced, so they run wild on the internet. Google and other publishers are doing their best to detect the bogus clicks and refund the fraudulent charges. They have neither the urgency or resources to truly fight click fraud. It is up to you, so protect yourself. Take some responsibility and at least use some practical safeguards. It’s your website and your ads. First of all you need to set up Analytics. If you can not see what is happening on your website you will never know you are being robbed. Limit your bids and total daily budget. High cost keywords are expensive and often abused. So use long string keywords, that will aim more at your idea customers. Use negative keywords to exclude wrong customers or bots. Watch You Competitors. Use free click tracking reports to find out how many clicks are coming from your competitors. Always track your ads. You need to know your cost per conversion and see what percentage of your clicks were detected as fraudulent. Limit the area, block other countries where the cost of setting up a human click farm are cheap. Unless you are dealing internationally block all international ads. If you are doing display advertising, select your own high value locations to be shown. Put them on trusted sites that will have your ideal customer. This avoids you being placed on an ad server site that never sees a human. Use Cost Per Action (CPA) instead Cost Per Click (CPM) and make sure that it is a useful action not just signing up for a newsletter. Like having click the final buy button if you are selling product. Click fraud is doing a lot of harm to advertisers and consumers. Internet advertising is still the best advertising venue going forward. There is no other way to put you message in front of the right person. Not paying to advertise to those who are not interested or not looking for you is great. So get out there and advertise but use some common sense. Check for geographical or IP activity in your PPC account.